The quality of your smile hinges on a delicate balance of a healthy mouth and structurally sound teeth that allow your jaws to meet comfortably. Genetics, decay, wear and injury can all negatively impact these aspects of your oral health, causing chain reactions of discomfort and declining health throughout your entire body. Restorative dentistry, performed by Dr. Jonathan Yu in San Jose, California can directly address conditions such as missing, damaged, or decayed teeth, helping you to enjoy a healthy, pain-free smile. To learn more about how these treatments can help you, please contact us today. If you are missing one or more teeth and are considering restorations such as dental crowns, bridges, or dentures, dental implants provide incredible support comparable to natural tooth roots. These titanium implants are surgically placed in your jaw bone, requiring at least two surgeries and several months of recovery time. However, you can enjoy 40 years or more of comfort and confidence in your smile. We can create custom tooth-shaped porcelain caps to restore damaged teeth or replace missing teeth. Crowns can either use an existing tooth or dental implant as a base, restoring balance to your bite and a complete, healthy appearance to your smile. Using our in-house CEREC® machine, we can create and place your dental crown within the span of about an hour. Properly aligned teeth look great, create a balanced bite, and make it easier to maintain the health of your teeth. Misaligned teeth often require orthodontics to achieve a straight, symmetrical appearance. 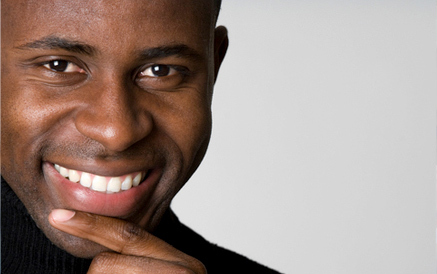 Invisalign® provides a popular, less noticeable alternative to traditional braces. Like metal orthodontics, these clear, custom-made plastic mouthpieces gradually guide your teeth into alignment over the span of a year or more, depending on your needs. Invisalign® is discreet and removable, making it much easier to brush, floss, eat, and smile confidently. If one of your teeth has experienced advanced decay, it will require a filling material to reinforce its structure after the decayed portions are removed. For many years, silver amalgam was the preferred filling material, but many feel its dark color leaves their teeth looking unsightly. Instead of amalgam fillings, we only offer tooth-colored fillings, which leave you with a much more natural-looking restoration. And unlike amalgam fillings, tooth-colored fillings expand and contract at nearly the same rate as your natural tooth when exposed to heat or cold. To learn more about how tooth-colored fillings and other restorative dentistry procedures can benefit you, contact our San Jose office today. This special antibacterial mouth rinse, administered in-office, can significantly reduce bacterial levels in your mouth and on your teeth, helping you to prevent instances of dental decay and gum disease. If missing or damaged teeth are causing you discomfort, restorative dentistry treatments performed at our San Jose office can help you achieve the healthy, wonderful-looking smile you want. Contact us today to learn how we can help you restore your smile.